One of the best things about a phone is the ability to capture exactly the screen as an image and store it and even share it with others. Samsung galaxy S4 is a great phone for this and it runs on Android OS. There are two ways you can take a screenshot and use the one you find easier. 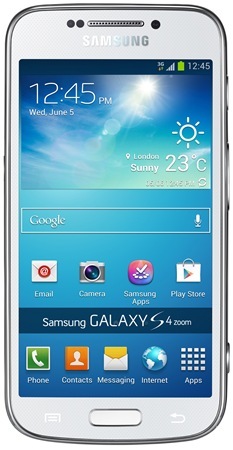 There are two versions of Samsung Galaxy S4- I9500 and I9505. Some people face trouble with taking screenshots or they do not know how to do it the right way. · It is a quick way to store a lot of information that does not take up much space. · You can share the image with others through other apps like Messenger, Facebook etc. or even edit is using Photo editors. open the screen you want or if you are already on the page or it is displayed. Then simply just hold the power button and the home button. The power button is the one on the side and the home button in the one in the middle below the screen. Do not press them several times or force them into taking the screenshot. You need to just hold the buttons and you will get a notification on top just like you get notifications for other things. Open the photo through the notification or through the Gallery. Start by dragging down the options you have on top like Wi-Fi, GPS, Vibrate and etc. There is a settings icon on top. Tap on that. Go to my device and drag down to input and control and select the second option below language and input. It is motions and gestures. Select the third option, known as palm motion and activate it. If it is green then, it means that it is activated. There are options to edit like using colors and markers. It is only if you want to do it. Select it and take a color and circle around the option. You have the options of drawing, eraser and pen. Once you choose your desired color like blue, circle it and save it. Now, browse as much as you want and when you spot something you want to save, just move your palm from left to right in a straight manner. It will get you all the photos you need in the folder. · Sometimes, it may take a while to get the notification, so people end up taking multiple screenshots of the same thing. This takes up a lot of space and to avoid it you can go to the folder named “Screenshots” and delete all the unnecessary photos to increase space. · Some people do not known about the palm swipe method of taking the screenshot. This entry was posted in Technology on October 17, 2017 by Tom.